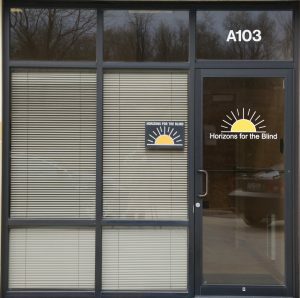 Horizons for the Blind is an organization dedicated to improving self-reliance, by increasing accessibility, for blind and visually impaired individuals throughout the United States. Horizons is a not for profit 501(c)(3) organization located in Crystal Lake Illinois. We serve the needs of our constituents by providing programs and services to Consumers, Non Profits, and the Business Community. Horizons works together as a team of blind, visually impaired, disabled and sighted individuals to produce the best product possible. Over the years, Horizons has become a leading provider of Braille, Large Print and Audio transcription services to the business community. We specialize in partnering with companies, of all sizes and industries, to provide documents in an accessible format such as Braille, Audio, and Large Print. We specialize in ensuring that your communication with visually impaired customers is effective, meeting your needs and customer expectations. We have expertise in producing quality transcription of menus, cell phone user manuals, cable company guides, hotel compendiums, and customer correspondence. And that’s just the tip of the iceberg. In addition, we process over 30,000 billing statements per month in Braille, Large Print and Audio formats for financial institutions, public utilities, communications companies and others. For nonprofit and other organizations, Horizons provides newsletters, promotional materials and membership information in Braille, Large Print and Audio, in the style and format of your choice. Horizons offers a variety of products and services for blind and visually impaired people around the world. Our online catalog (Gadget Gallery) offers over 400 items, including Braille and Large Print cookbooks, books on plants and gardening, books and kits on crafts, knitting and crochet patterns as well as seasonal baking items complete with Braille and Large Print instructions. Our catalog also offers Braille and Large Print books on poetry, medical tips, household hints, some that puzzle the mind and some that are just fun to read. For more information, please visit our Product Catalog page or request a free catalog by e-mail at mail@horizons-blind.org or by calling 815-444-8800. Horizons offers both a monthly Magazine (Seeing It Our Way) and a Monthly Electronic Newsletter (Horizons Happenings). The magazine is available in Braille, Large Print, and Audio formats. There is an annual subscription fee of $30. The monthly newsletter is free and is only available in Electronic format. Directions for Me Is a website that provides a complete, consistent, reliable source of packaging information, for everything from preparation instructions to ingredients and nutrition facts, for over 400,000 grocery, health and beauty products? Directions for Me was designed to be completely accessible to those who use adaptive technology. It also offers adjustable fonts for those who would prefer larger print.